The Structure, Tower and Antenna Council (STAC) will host its 2nd annual conference on March 29-30, 2017 at the Scotiabank Convention Centre in Niagara Falls, ON. 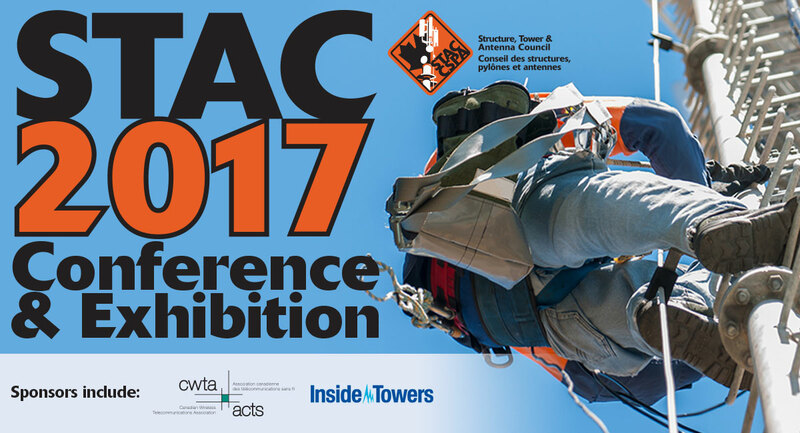 Building off the overwhelming success of STAC’s inaugural conference last spring, the STAC 2017 Conference & Exhibition is the premier event dedicated to Canadian tower safety, and is devoted to sharing the important information and best practices that will help maintain Canada’s world-leading tower safety record. The two-day STAC 2017 event will bring together approximately 400 communications and tower industry professionals, including wireless carriers, broadcasters, engineers, contractors, manufacturers, land owners, safety equipment suppliers and safety trainers, among others. Attendees will learn about new industry practices and technologies, and will receive exclusive information about the development of STAC best practices and other industry resources that are normally only available to STAC Members. Enter the STAC 2017 raffle for a chance to win a new phone or other amazing prizes. Guy anchor corrosion and guy wire tensioning. This list will be updated as appropriate. For an updated list of planned events and seminars, please view the STAC 2017 Schedule. STAC 2017 will take place at the Scotiabank Convention Centre in Niagara Falls, ON from March 29-30, 2017. Located just a few minutes’ walk away from downtown Niagara Falls, the state-of-the-art convention centre will provide an ideal setting for STAC 2017 delegates and exhibitors. Become a STAC Member before March 1, 2017 and receive a free pass to STAC 2017 plus discounted rates for additional passes! For more information about STAC membership, click here or send us your questions at info@stacouncil.ca. Travelling from out of town? STAC has arranged for a special group rate for STAC 2017 delegates staying at the Embassy Suites Niagara Falls Hotel, with rates starting at $125.00 per night for those who book by March 1, 2017. Guaranteed 2-room suites with separate living room and bedroom area, featuring 2 flat screen TV’s, double pull out sofa in living room, mini-fridge and microwave. Book Your StaySTAC is also working with vendors to offer discounted travels rates and group travel opportunities between Niagara Falls and Toronto Pearson International Airport. 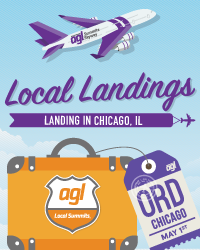 Check back soon for more information, or send us request to receive email updates on available travel arrangements. STAC’s Steering Committee is coordinating a winery tour and tasting outing for interested STAC 2017 delegates that will take place after the conference closes, on the evening of March 30. Stay tuned for more details – including a full list of the Niagara-area wineries we’ll be visiting – or send us request to be included on the STAC 2017 Outing mailing list. Does your company work in the antenna and tower, or fall protection industry? STAC 2017 is the premier venue to demo your products or services to a wide variety of potential clients. From wireless carriers and broadcasters to tower engineers and tower-riggers, STAC 2017 delegates represent companies involved in every aspect of the tower industry. Don’t miss your chance to reach them all over two days of demo and sponsorship opportunities. Receive attendee contact information (limitations apply). For more information about sponsorship and exhibitor opportunities, please download the STAC 2017 Sponsor and Exhibitor Guide.